As I’m writing this blog, I’m listening to my 3-year-old grandson screaming his head off, in a temper for the hundredth time this week. That’s right, my daughter and two grandsons are living with me for a short time until they can get moved into their own house. I love my grandsons and I love that I get to know them better since they have lived so far away from me (Guam) for so long. It’s been a tough transition for us all to get used to each other and I have to remind myself, he will grow out of the “terribles”. Count ten and insert earplugs. Not only am I a grandmother, I’m a mother to three children, now grown. Well, mostly. The twenty-one-year-old is still in college and very dependent on us when she needs money and very independent when she has a pocket full of cash. I try to be there for my grown children when they need a shoulder to cry or lean on, or want someone to vent to. We also own a business with 16 employees. I’m the president and I try to go to the office at least once a week to run the status meeting. That once a week becomes even more quite often. The business is expanding and I’m in charge of placing ads, interviewing and hiring the new employees. Then I’m the writer. Sometimes I feel like that role takes the back seat to everything else. And it really shouldn’t. Because my schedule is flexible, writing gets pushed to the back burner all too often and I find myself writing in crunch mode more than I should. Not only that, but I write under two pen names. And in this digital age, I have to keep enough content to keep my readers happy for both pen names. I love my jobs, all of them! And I love being a writer and creating exciting stories that I can get engrossed in. It’s my escape sometimes from a very disjointed life. It’s my grounding place where I can get back to the fantasies that take me to far off places where I get to meet or be other people if only for a short time. I started out as a reader and I still am, because I like to take those trips into other people’s lives. It helps me tune out the screaming, or shut off the worrywart mamma in me, or forget for a moment that I have a schedule to pull together for the office. 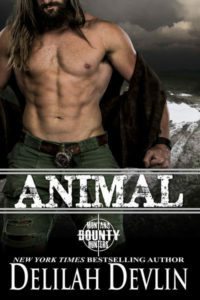 Standing to the side of the door, Thorn balanced his rifle against his hip, grabbed the doorknob, shoved open the door and darted out of range. An explosion erupted from inside the cabin, and wood splintered from the door frame, bouncing off Thorn’s face. He ducked low, rolled through the doorway and came up in a crouch, aiming his rifle in the direction from which the last bullet had come. “Vaya, o disparo!” Another shot blasted a hole in the wall near Thorn’s shoulder. He threw himself forward in a summersault, coming up on his haunches. The rifle lay across the cot, pointed at the side of the shooter’s head. “Por favor, no disparar!” a shaky female voice called out. “Don’t shoot!” Slim hands rose above the other side of the cot. The thunk of metal hitting wood was followed by the rasp of it sliding across the floor. A slim figure emerged from the shadows, rising above the cot. Long, straight hair hung down around her shoulders, swaying slightly as she moved toward the door, picking her way carefully. For a second, she stood silhouetted in the light filtering in from the moon, the curve of her hips and breasts in sharp contrast to her narrow waist. She glanced toward him, moonlight glinting off her eyes. Then, before he could guess her intentions, she flung herself outside, slamming the door shut behind her. Thorn shot to his feet, ripped the door open and ran outside. He turned left, thinking she’d go for the motorcycle under the lean-to. Just as he rounded the corner of the house, he realized his mistake. Little Joe whinnied, then galloped by with the woman on him. Thorn tore out after them, catching up before Little Joe could get up to speed. He grabbed the woman around the waist and yanked her out of the saddle, the force of her weight sending them both to the ground. The wind knocked out of him, Thorn held on to his prize, refusing to let go, a dozen questions spinning through his mind. Who was she? What was she doing on the Raging Bull, and why did her soft curves feel so good against his body? 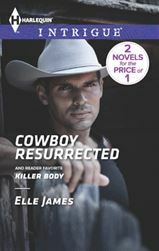 Elle James spent twenty years livin’ and lovin’ in South Texas, ranching horses, cattle, goats, ostriches and emus. 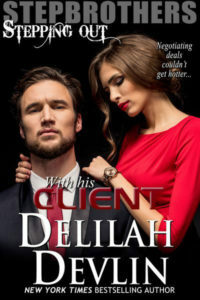 A former IT professional, Elle is proud to be writing full-time, penning intrigues and paranormal adventures that keep her readers on the edge of their seats. She has 39 works with Harlequin, self published works under pen name Elle James, over 40 works with other publishers including Samhain, Elloras’ Cave, Kensington and Avon and 18 works self-published under pen name Myla Jackson. Now living in northwest Arkansas, she isn’t wrangling cattle, she’s wrangling her muses, a malti-poo and yorkie. When she’s not at her computer, she’s traveling, out snow-skiing, boating, or riding her ATV, dreaming up new stories. This entry was posted on Monday, October 7th, 2013 at 6:00 am in General. You can feed this entry. Both comments and pings are currently closed. And we as readers greatly appreciate that you can switch those hats around with such dexterity and talent (even as we are tired just reading about all of the things you are juggling)! Glad that your family is closer (and hope that they will be a LITTLE less close soon, lol). Thanks for the excerpt!